AVAILABLE SPRING 2019---1400 sq. 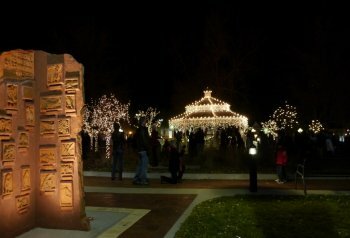 ft. Retail Space (R7) Located on beautiful Mainstreet and available this Spring! Chocolate/Candy or similar Retail Store Welcomed! Suite 235 is a CORNER suite with four window offices, kitchen with dishwasher, additional open work space for 3 or more individuals.....excellent condition and facing North/West. Corner suites are rarely available at Parker Station. CALL US NOW! Come and join us at Parker Station, where business "gets done". Parker Station Professional Office Building combines Victorian Charm with outstanding amenities: 10 foot ceilings, free tenant conference rooms, public art, separately controlled heating and cooling, and on-site restaurants. Parker Station Professional Office Building is locally owned and managed. David A. Van Landschoot, President of 1st Asset, LLC, is the leasing contact for Parker Station Professional Office Building. David can be reached by email or by calling 303.550.0178. 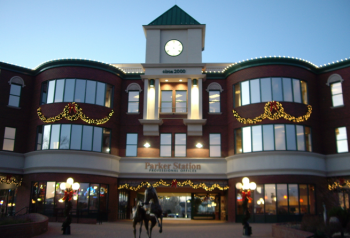 If you are interested in office space in Parker Colorado and becoming a tenant at Parker Station Professional Office Building, please call or email us, or CLICK the link above and we will be in contact with you shortly. © Copyright 2018 Parker Station. All Rights Reserved.